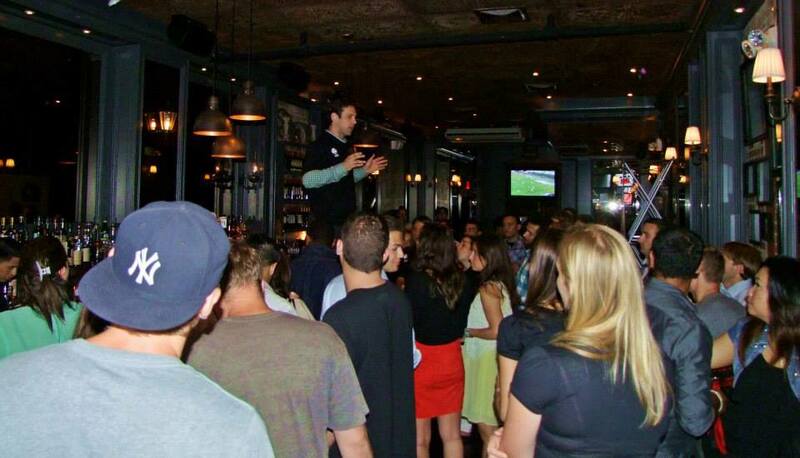 Thank you to all who attended the National Cup Kick Off Party, and made it a great success! The countdown to the National Cup officially kicked off Tuesday night, June 11, 2013, with a gather of over 100 people at Linen Hall in NYC's East Village. The night included 6 program graduates from Street Soccer USA New York as well as a host volunteers and special guests including, Erik Stover, Jeremy Wilkins, Alecko Eskandarian, and Dane Murphy of the New York Cosmos, who signed up four teams and announced their sponsorship of the Cup which takes place in just over 1 month. 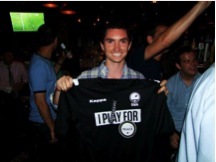 Ian Christianson, a midfielder form the New York Red Bulls also showed up to show support for the tournament. Call to Action: We still need to sponsor homeless teams, and players. To sponsor it is $100.00 per player, and $800.00 per team. As a friend, supporter and member of Street Soccer USA, you will receive our newsletter to help keep you informed of all the exciting things going on with us. Thank you for your ongoing support!